Duets are a great way to share your Pilates experience as a couple, or with a friend. 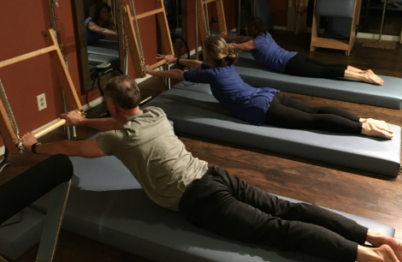 These Pilates sessions allow you to discover new goals and to discover a new level of independence. They’re a great way to hang out with a friend or partner in a healthy way. The cost of a duet session is $50 per person. 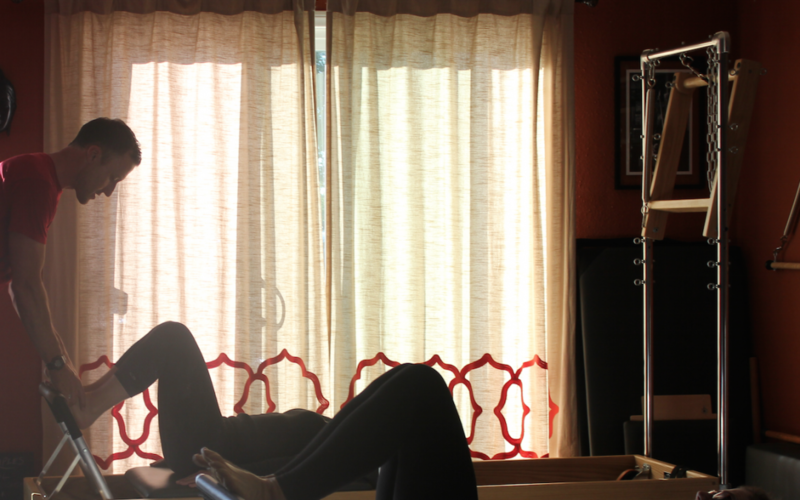 Pilates Skype Sessions are perfect if you are unable to make it into the studio. Jamie works with teachers and students to give them the benefit of private tuition from their own homes. Perfect for those in another state or country or for students traveling for work. 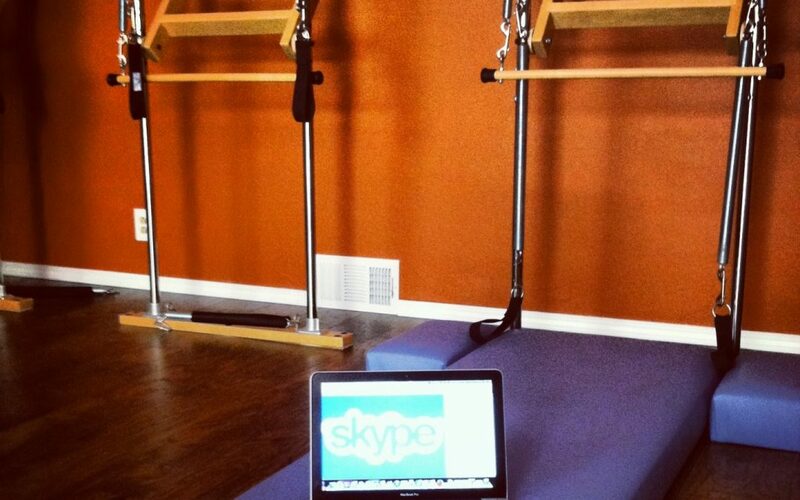 The cost of a Skype Pilates session is $80. We provide classical authentic Pilates sessions, with the finest equipment in the industry. We offer fun and challenging mat and tower group classes, limited number group reformer classes and private and semi private Pilates sessions. We have sessions available for all levels and abilities. Please enquire for our up to date class times. All sessions are 55mins. Sessions are by appointment only. Our philosophy is to provide every individual with an authentic and high quality Pilates session. Our Pilates and wellbeing sessions will energize and uplift. Every session is taught by a very experienced, professional and caring teacher. We have experience training professional athletes, as well as sports rehabilitation and pain management. Jamie will draw from over 20+ years of coaching and teaching experience to ensure that your sessions take you beyond your goals. Ultimately we love what we do and will bring passion and energy to every class. We believe in quality of experience and therefore our class numbers will be limited. Book early to avoid disappointment.